With Ruby 2sday less than 500 km off turning 100K, I've left it a long time to take my own advice, but today I did it. I supplied an ebay-sourced blank to the locksmith and the whole process cost just over $100. I could have put the chip in the blank, but as a security item, I put it on a recoil cord to go on my belt. To start the bike I hold the chip against the key head and once the FI light goes out, I can let it retract and start the engine. That means I can leave the key in the ignition if I want to do a quick turn-around (e.g. an on-the-clock ride). The downside is, if you stall at the traffic lights, you have to grab the chip to accompany the key to restart. I have a cut-down key for the fuel cap and panniers. I too have cut down keys for the panniers and top box (and fuel cap). I keep one in each jacket pocket so I don't have to shut down the bike if I want to get my sunglasses/jacket/raincoats/camera from the bike. Yeah, I look at my bike like that too. I have a spare key for my 1300 but it hasn't been coded so I only have one key to start the bike. The previous owner never coded the spare key which seems puzzling to me. Going through the owner's manual PDF I find out that the bike comes with a key plate which was never passed on with the bike from a previous owner. After a call to the dealer I bought the bike from it seems they use a coded key to programme a new one. I'm going to have to check this out with my local dealer next time I'm in Port Augusta. If I get a new key for my car then I can programme the key from the car; to bad Honda didn't do the same. Alan, are you absolutely certain the spare key has a RFID chip in it? I bought a spare key blank through e-bay which I then got cut and it looks just like the real one but it doesn't have a chip in it. I keep it in the right pie warmer to take off or open panniers and lock the steering. 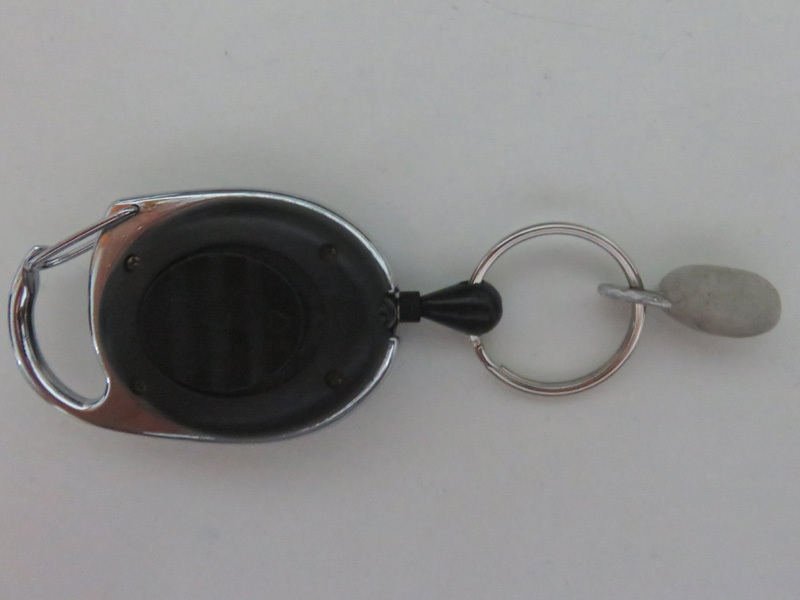 It is convenient for me and it cuts down the wear & tear on the chipped key. Your spare may be the same. If the original key breaks I can just take the chip out and put it into my spare. I have a chipped spare which I keep home unless going on a long interstate trip. Alan, are you absolutely certain the spare key has a RFID chip in it? The spare key I have is an OEM Honda key and no way to see if there's a chip in it or not.